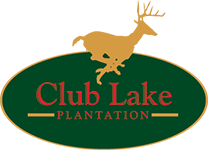 We are Randy and Carol, visionaries of this magical place called Club Lake Plantation. After helping friends create a space for that perfect wedding, we felt the desire and made things happen. The emotions that have been displayed leave us with the desire to keep this plantation perfect and to be able to continue creating an atmosphere like no other where couples and their guests can come and experience memories being made. We will continue to pay attention to detail, as that is what makes Club Lake Plantation uniquely magical. Our amazing staff will continue to pour their hearts out passionately to make your day the way you dreamt it to be. We strive to maintain this ‘country elegance’ atmosphere in which a couple can come into to share who they are to their beloved guests. A wedding at Club Lake Plantation can only be described as spectacular. You will be able to create a treasured moment that will last a lifetime. To provide an atmosphere like no other, and service that allows those who come to actually ‘experience the memories being made’.